Here are some of the different retail technologies predicted to take off in 2018. The retail landscape has changed immensely over the past few years. The store of today looks totally different to the store of 10 years ago. We’ve seen some revolutionary retail technology emerge this year and 2018 will be another exciting year for the retail sector as more technologies start to push boundaries in order to enhance the way consumers shop and the experience they receive. Customers already expect a more personalised and engaging shopping experience, and the seamless combination of both the online and in-store propositions, should create the enhanced engagement and savvy shopping experience they’re becoming accustomed to. In order to keep up with the changing retail landscape, we’ll start to see the introduction of new trends and initiatives – some of which are already in use. Such initiatives will be adopted and embraced, further creating a fully functioning and interactive ‘destination’, rather than a static, transactional location. The retail environment is set to thrive and adapt further over the next few years – with the stores of the future holding technology at their core. When it comes to delivering this personalised shopping experience, various tools will fast become a must for all retailers. Here are some of the different retail technologies I predict will take off in 2018. Supermarkets like Tesco and Sainsbury’s already allow their customers to scan their own food and pack their bags as they go around the aisle, reducing the time wasted scanning and packing items at the till. But there’s still more to come – interactive shopping trolleys or supermarket GPS. Over the next year we could start to see the major supermarkets implement this technology in their stores. For example a touch display which could automatically suggest meals to make as you scan and add items to your trolley or being able to create a shopping list at home, log in (for scanner in-store), see your list on screen and cross them off as you go. We also predict these trollies to start creating the best possible shopping route for the list that you upload, just like a GPS system in your car based on your items to help save time. When retailers started to migrate away from traditional and static point-of-sale (POS) systems, it allowed customers to be more flexible in how they pay for items around the store. We saw ‘BOPIS’ (buy online pickup in-store) take centre stage, creating a new trend in buying online and picking up your purchases in-store. We’re already seeing a lot of BOPIS being implemented in many of the large retailers and online catalogues, making it easier for sales associates to engage and conduct transactions with customers throughout the store. In 2018 ‘BOPIS’ will become much more utilised by consumers, and begin moving toward the norm. By using ‘BOPIS’ to blend the best of both online and in-store, retailers will create seamless omnichannel shopping capabilities that enhance customer experience and brand loyalty potential. Right now, electronic shelf edge labels are still not widely used, and despite the technology being readily available, there’s been little implementation of this technology so far. But this could all be set to change in 2018, with a large number of retailers across different sectors looking to implement this technology. Shelf edge labels can be edited and updated electronically allowing information such as prices and promotions to be changed easily. Currently supermarket assistants have to edit, pick out and replace printed labels manually, but electronic labelling will save time and make the process more efficient. 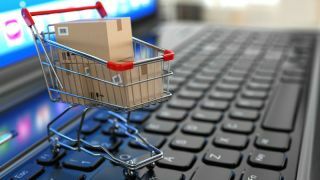 Retailers can also use this type of labelling to provide real-time updates to customers on the price of a product, compared to the same item in another store or online. Consumers would value this and it could also be used a sales skew; even if the product is slightly cheaper online or elsewhere, why would you want to wait an extra three days for delivery or instead walk/drive 20-30 minutes to another store for the sake of a few extra pounds when you can take the product home there and then. Beacon technology, although it’s been around since 2013, hasn’t been used to its fullest. Over the last few years it’s started to gain traction in industries like retail. It’s been trailed and in some cases already being used by some retailers for location-based marketing purposes, as well as to help customise offers and promotions further by using advanced analytics. Some interesting uses we’ve already seen include retailers sending push notifications to customers when they’re in the vicinity of their store, and in-store mannequins which can send shoppers alerts about the products that they’re wearing. We really expect this technology to take off and hit more stores throughout 2018 and into 2019. There have already been some trials with intelligent changing rooms and interactive elements, but now we’re starting to see these actually implemented. Such technology includes the use of interactive screens, which will allow customers to check stock and instantly ask sales assistants for a different size while staying within the changing room area. Where a “magic mirror” (using a blend of touchscreens and kinetic technology) allows them to see themselves wearing various items, without even having to try them on. We believe most of the leading fashion houses will implement this technology in their stores over the next 12 months or so and we’ll then see this implemented on the high street and in supermarket stores that sell clothes. With 2018 not too far away, retailers will have to up their game to win over savvy consumers as they race to have the store of the future. With all of these technologies on the horizon, it won’t be long until consumers are able to receive a truly enhanced, digital shopping experience in physical stores. We really are looking at exciting times ahead in the retail space, for both consumers and businesses!